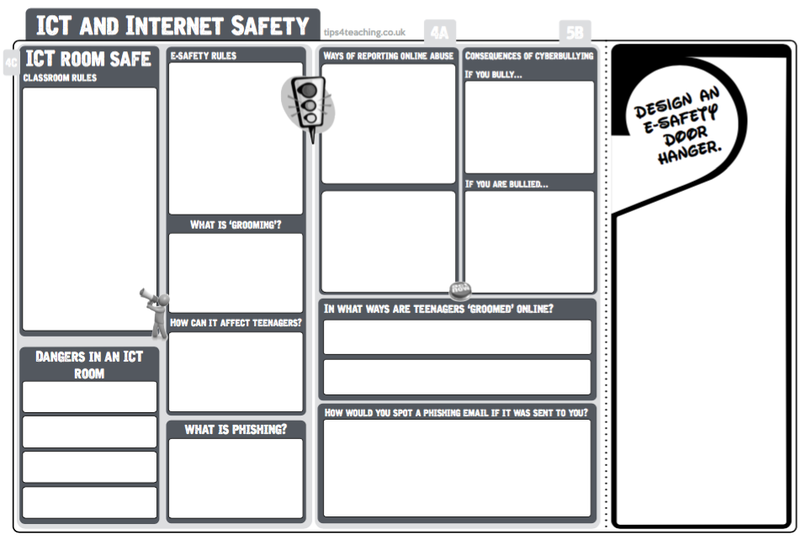 Aim: This resource was created as an assessable e-safety resource used with Yr7 at the start of the academic year. Learners LOVED this resource and went to town colouring in each section as they answered it before taking home the end section (door hanger) to complete as homework and then take home again to keep on their doors. The PDF is here to download – leave feedback if you use it in class.